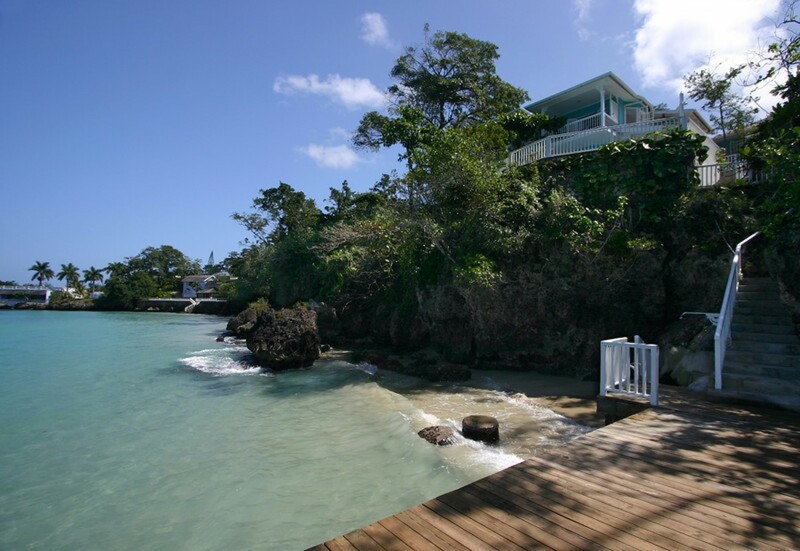 Welcome to Scotch on the Rocks a stunning 5 bedroom ocean front villa with wonderful views of the Caribbean Sea, just minutes from lively Ocho Rios. 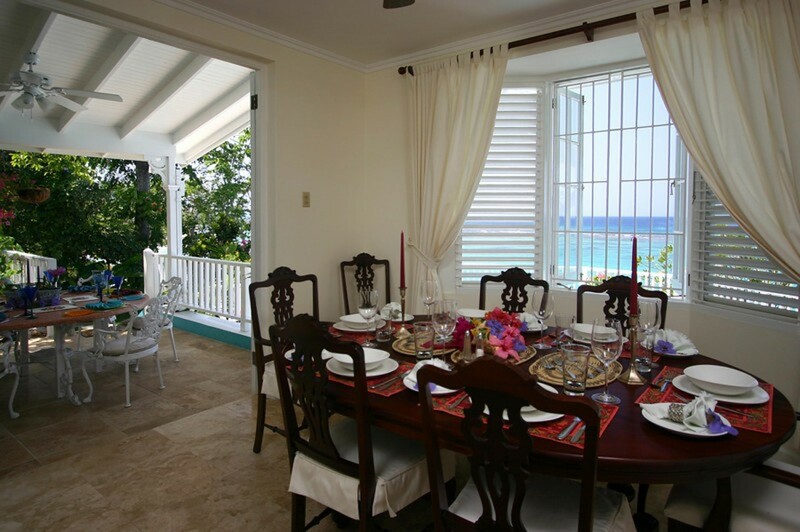 Scotch on the Rocks is a charming 5 bedroom villa overlooking the Caribbean Sea. 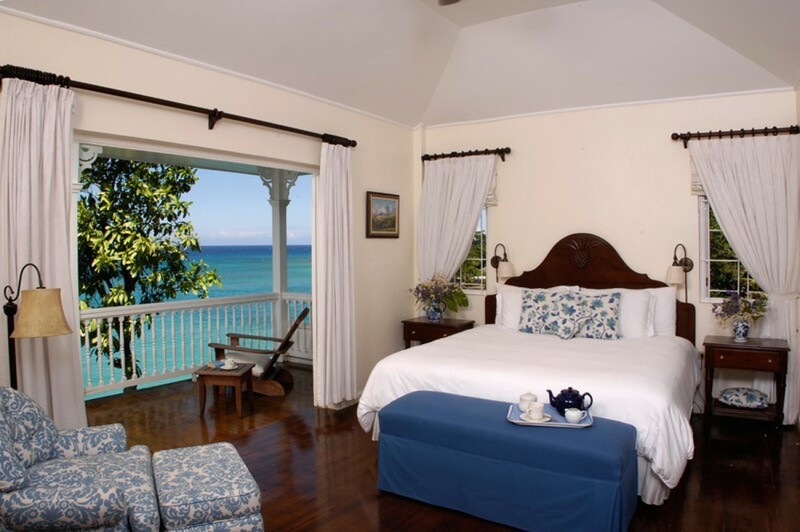 Its ideal location is a privately-nestled cove between two of Jamaica’s most prestigious hotels: Royal Plantation 5-star boutique hotel and the legendary Jamaica Inn. While completely private, Scotch on the Rocks has its own private waterfront with a small patch of sand for enjoying snorkelling. 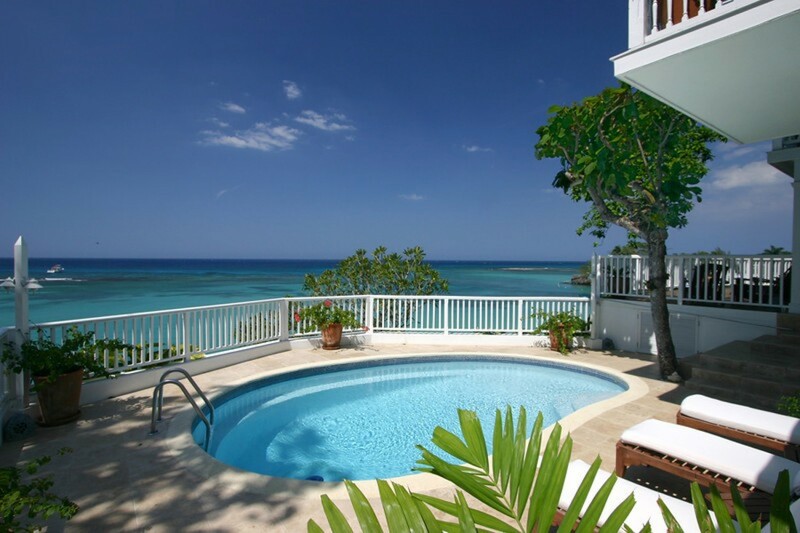 This deluxe waterfront villa in Ocho Rios offers great swimming and breathtaking ocean views all day long as well as glorious sunsets by evening. 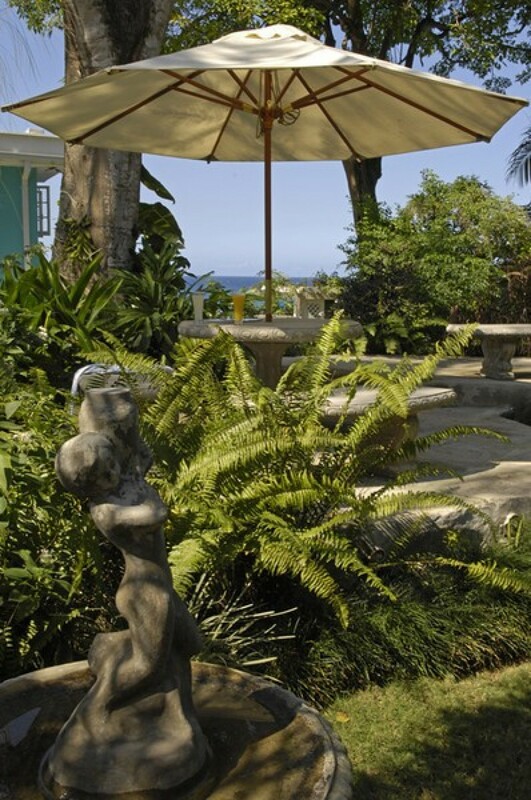 The villa’s private cove and water access is perfect for enjoying a morning of snorkelling. 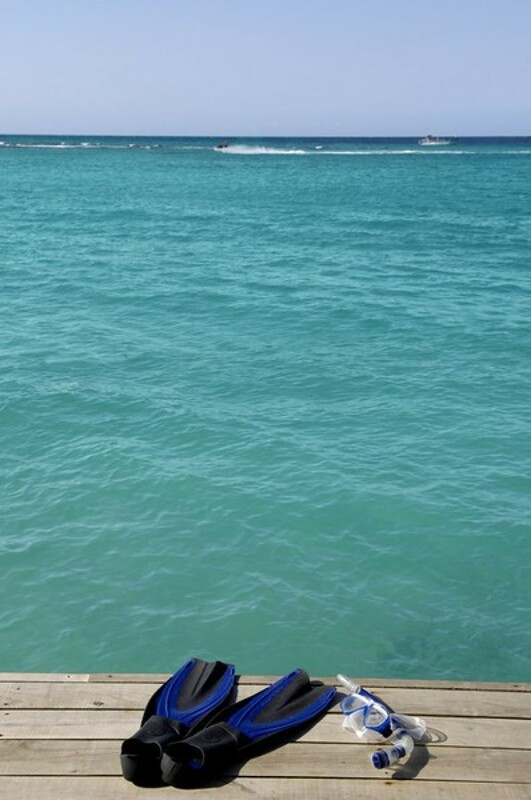 complimentary snorkel gear is provided as well as 2 complimentary 2-seater sea kayaks. 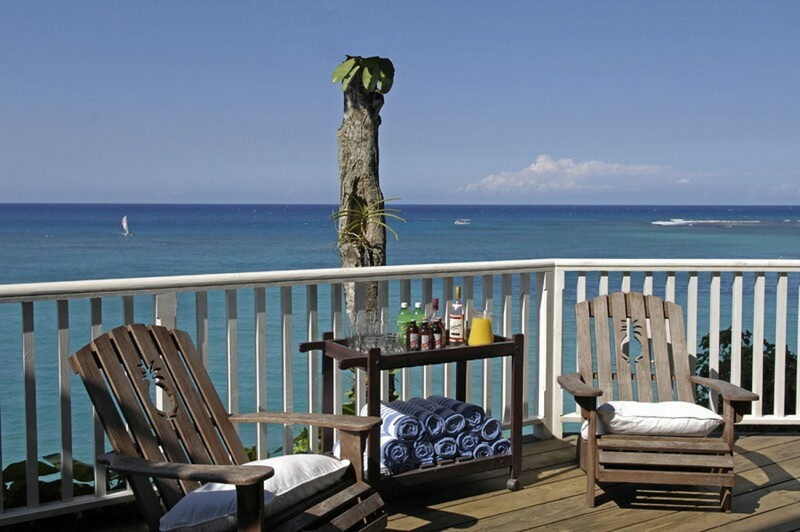 The over-the-water deck is perfect for enjoying hours of sunning. 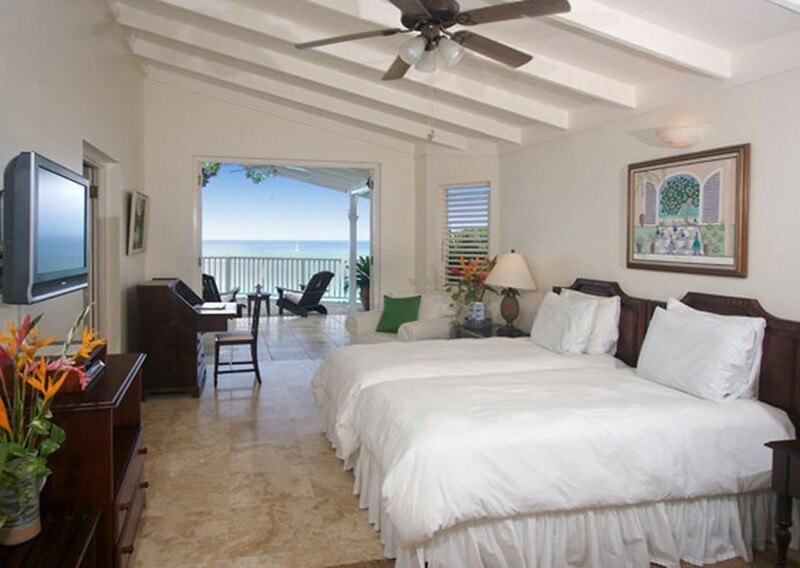 Villa Scotch on the rocks comes with 5 air-conditioned bedrooms. 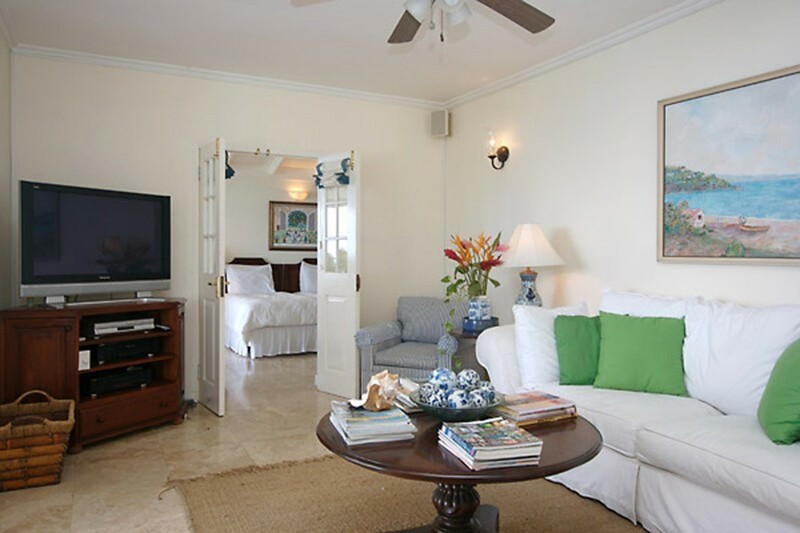 All bedrooms include closet safes, excellent state-of-the-art split system air conditioning and plasma TV. Queensize bed, en-suite bathroom with walk-in shower. 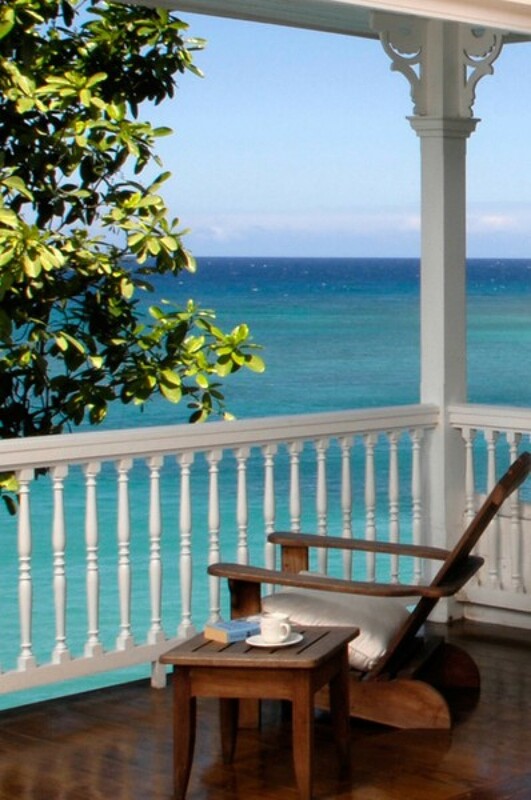 Private balcony with lovely sea view. Queensize bed, en-suite bathroom with walk-in shower. 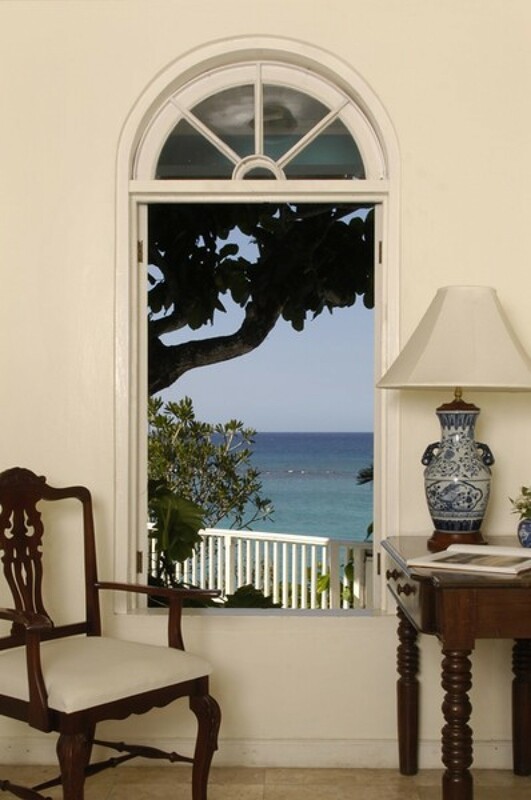 Private balcony with garden and sea view. 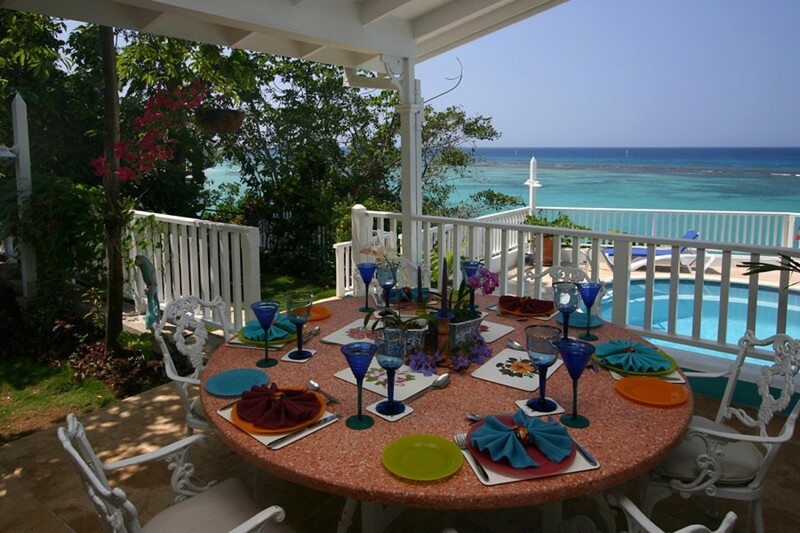 The location of this stunning Jamaica villa rental is perfect for a family vacation to Jamaica. 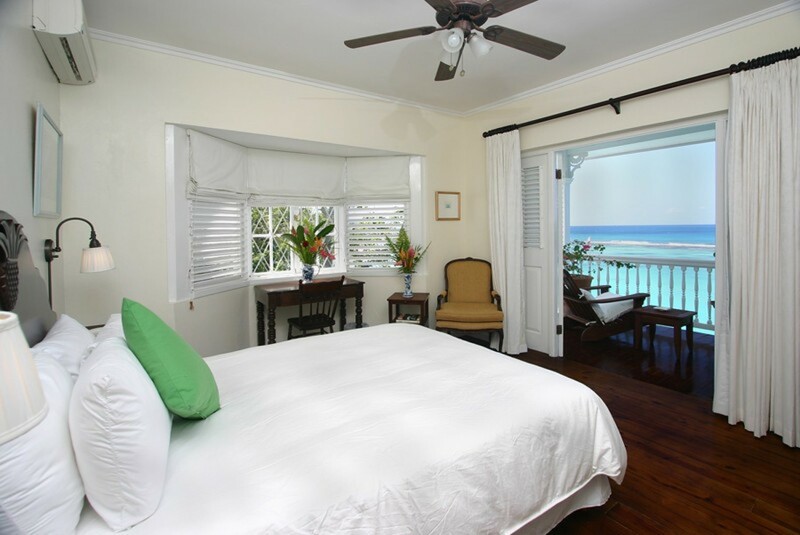 The Royal Plantation 5-star award-winning boutique hotel next door offers special rates for guests to use the gym, beach, sea sports, pools, tennis and restaurants. 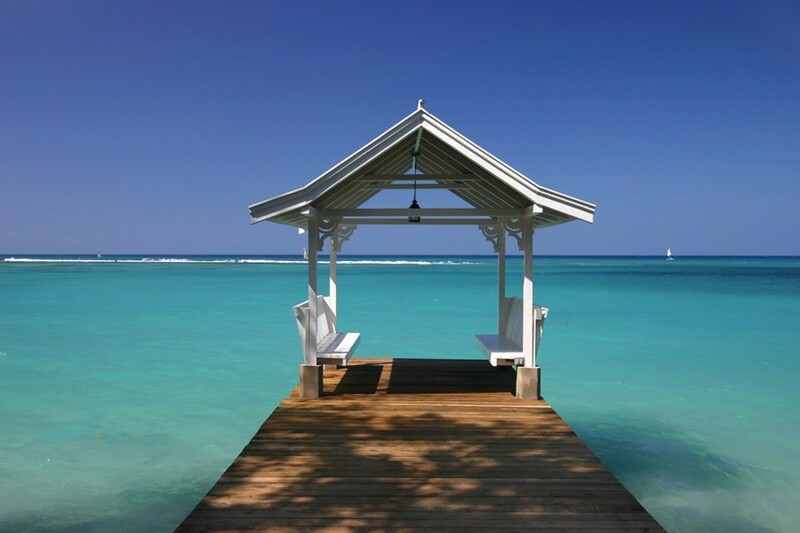 The Sandals Grande Ocho Rios beach and golf resort is just a 5-minute drive away. 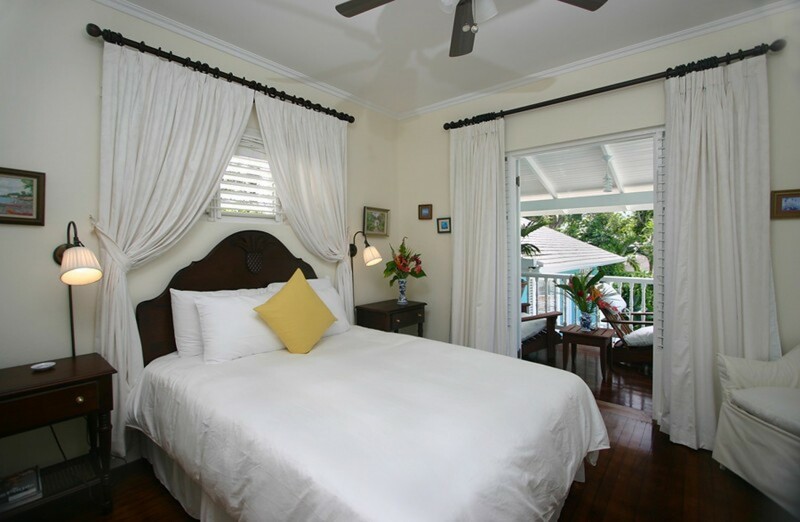 Sandals Upton Golf Course is a 10-minute drive from the villa and Breezes Runaway Bay Golf Course just 20-minutes drive. 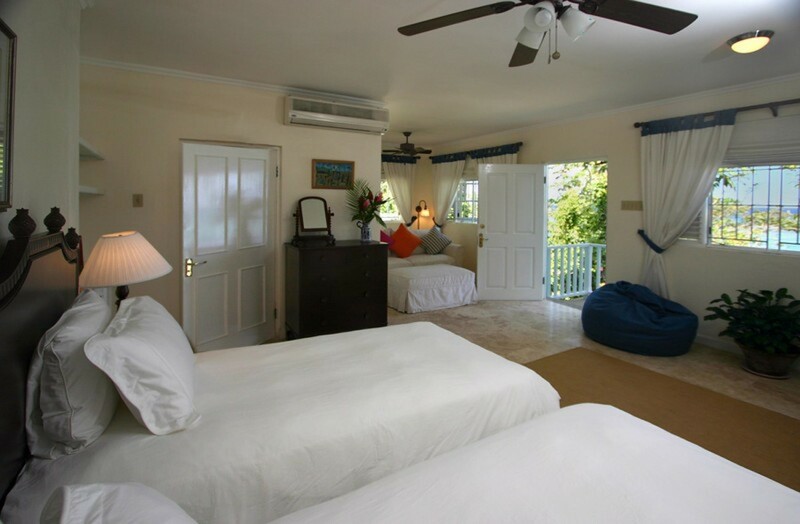 The villa is luxuriously private yet 10 minutes from bustling Ocho Rios, shopping, water sports, bars and restaurants, night life, Dolphin Cove and Dunn’s River Falls. 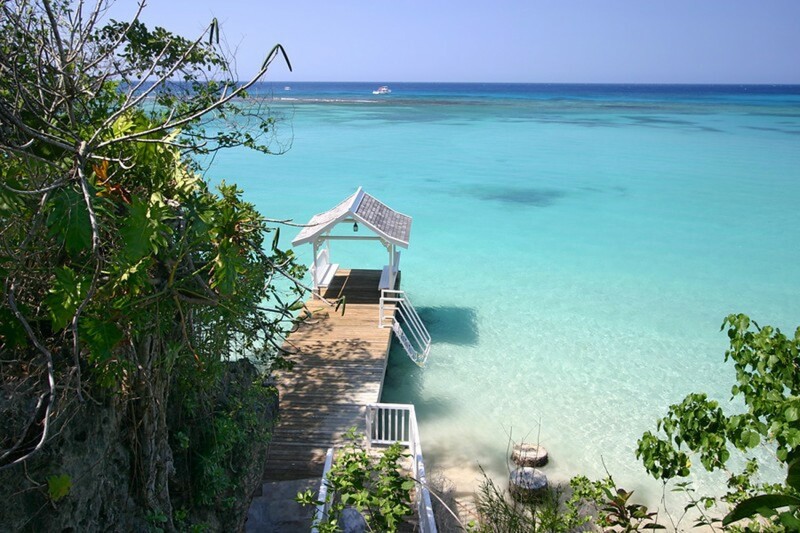 Ocho Rios, which is located 54 miles north of Kingston, is built around a wide bay with a sweeping arc of hotel lined beach. It is well geared to meet the cruise passengers whom are often present. The chief attraction is Island Village which is located at the far west end of Main Street. It is a slick collection of shops, restaurants and bars with a private beach. 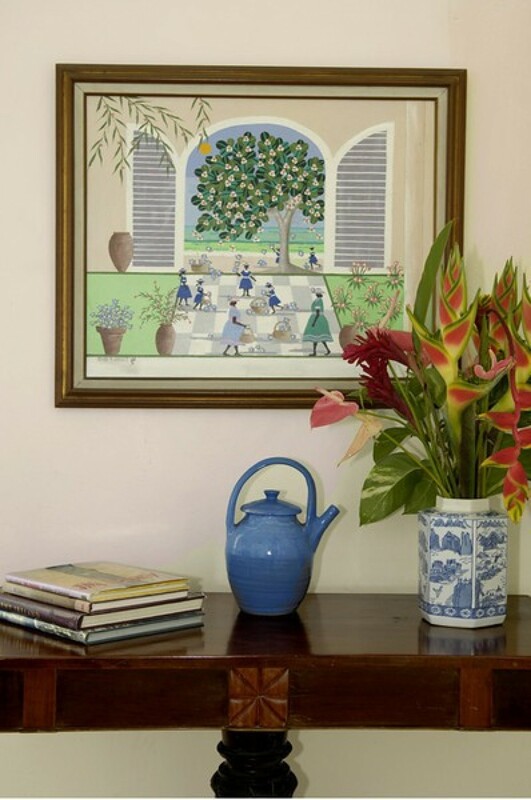 There are lots of wonderful activities to do in and around Ocho Rios. The villa comes with our wonderful team of staff. Our excellent cook and butler merit special mention. Mealtimes here are memorable thanks to Cherie’s wonderful cooking and Bryan’s excellent service. These fees are only required if you choose to have access to Royal Plantation. Adults 18 and older only. The staff went above expectations on every aspect! Noreen, I wanted to let you know that we truly enjoyed our week at "Scotch on the Rocks". The staff went above expectations on every aspect. From Brian waiting on us hand and foot; Cherry & Elvis being the best cooks that we could ever ask for. Everything was homemade and delicious. Pat taking care of our rooms and turning down our beds at night and then even cleaning and folding our clothes was never expected! All with genuine smiles on their face and heart. The house was just as the pictures suggested. Just beautiful. Our driver Michael did an awesome job as well. He made suggestions to visit "Blue Hole" and "Luminous Lagoon" and we enjoyed this as well. I appreciated your attention to detail and assistance last minute. Thanks again. It was amazing and the expectations from pictures and description were perfect. You helped with all the information on details prior to which helped. The staff was great and were present for just the right times. We didn't quite need the driver much as I suspected as we didn't go off property too much- the one tour we did also included transportation as well, however it was convenient when we did. Thanks again! Hi Emma, Everything was wonderful. The home, the view, the sleep!, the staff, the food. We have lots of memories to keep. Thank you for helping to make it all work out. This home is amazing- beautiful and spacious. 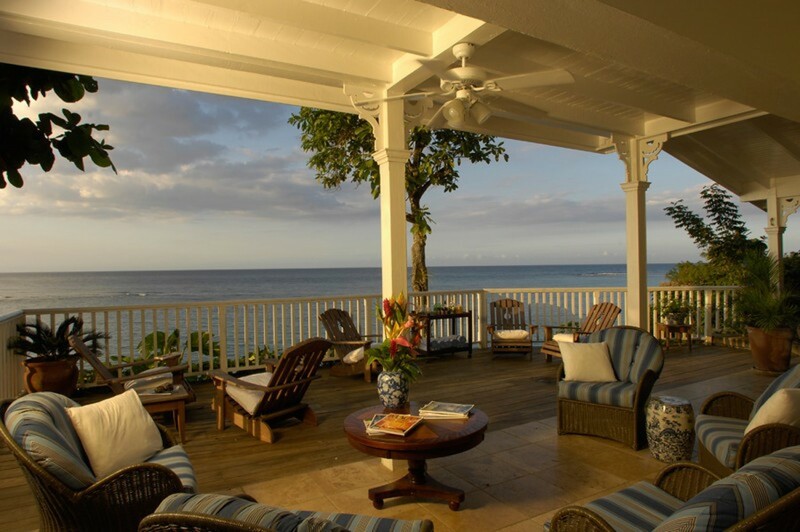 It has both indoor and outdoor living space with magnificent views from every room. The staff in this villa are wonderful...Bryan, Cherry, Pat, Elvis and Richard will ensure all your needs are taken care of! The location is great for getting around, most major attractions of the area are within 10-15 minute drive. Although there isn't a beach at the house there is a pristine sandy beach within walking/kayaking distance. 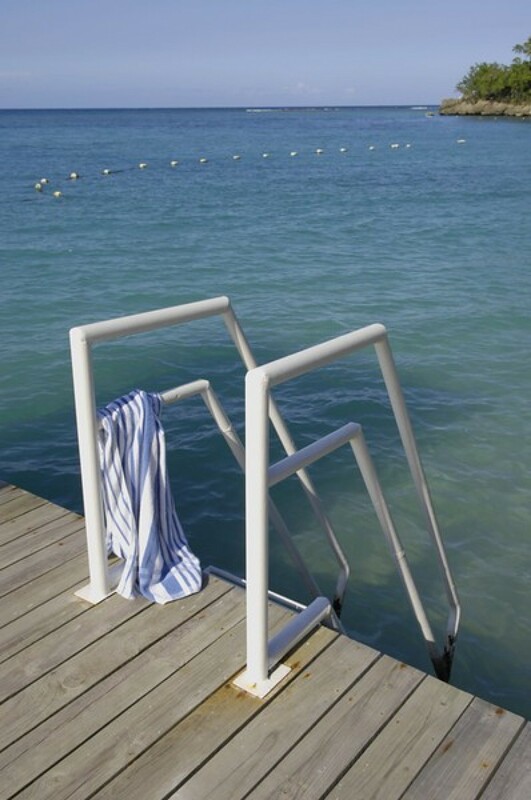 However, the crystal clear ocean by the pier is perfect for swimming and snorkelling. 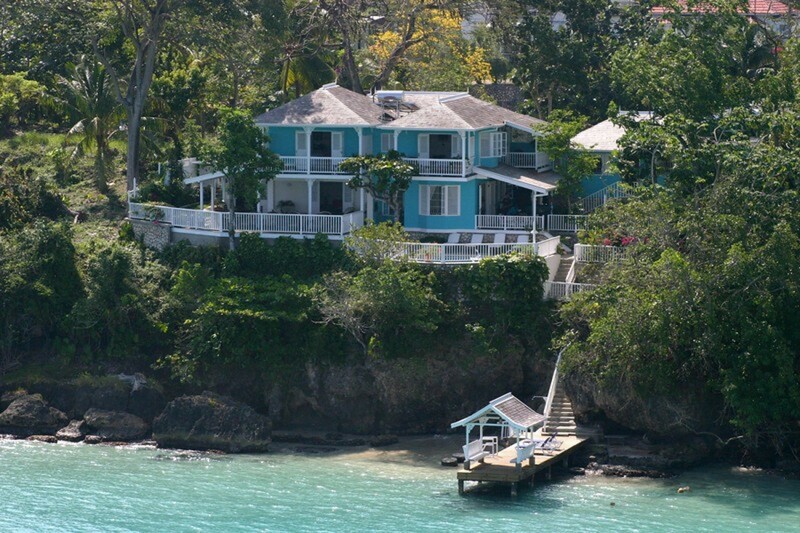 You will be guaranteed a memorable stay at Scotch on the Rocks.